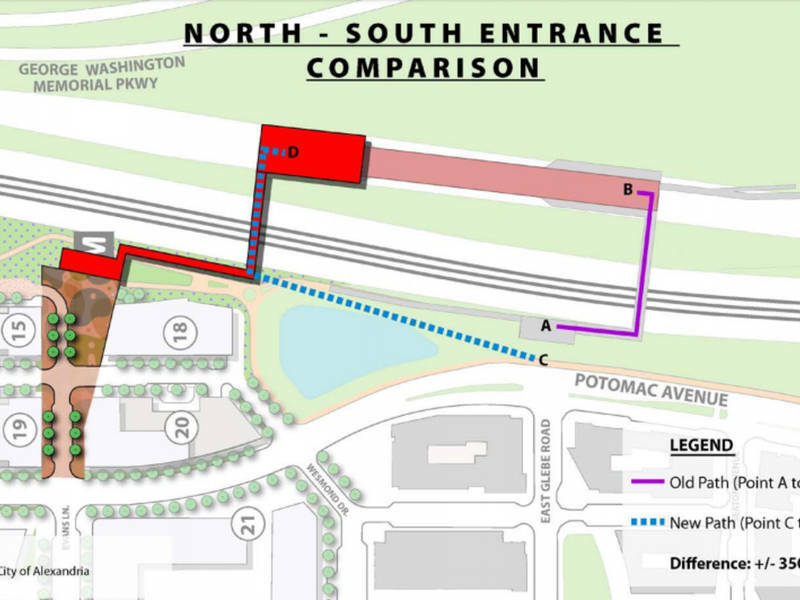 Proposed Potomac Yard Metro Courtesy of the City of Alexandria, Va.
City leaders in Alexandria have known since last July that the latest plans for the new Potomac Yard Metro stop eliminated the southern entrance, but those changes were only made public recently, sparking anger among residents and businesses who say a number of projects hinged on proximity to Metro. They say the city should have been more transparent, and include an advocacy group for the blind that built its headquarters with the new entrance in mind. The city says a non-disclosure agreement prevented it from sharing the information. We discuss the issues.